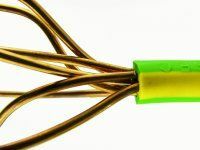 First established over 16 years ago now, we have been providing our second to none electrical services to the people of Selkirk, from installing extra sockets to full re wires and PAT testing, no job is too big or too small for us to take on. Why not give us a call today for a quote or some further detail on any of the services that we have to offer. If you would like to find out more about any of the above services, please give us a call today on the number at the top of this page. We really do pride ourselves on responding to all call-outs rapidly, making sure your electrics are repaired or installed to the very highest of standards. Our team provide a friendly and complete service, focusing on professionalism and above all else safety at all times. You will also be pleased to know we offer a first-rate customer follow up service, if you are having any problems with the work we have carried out. For further details on any of our skilled electrical services please do not hesitate to get in touch with us today. We can be contacted by calling the number on this page or by sending your questions by filling in the form on the Contact Us page of this website and we will get in touch as soon as possible.